Postcard front of the F. Ad. Richter & Cie. factory that produced Anker Steinbaukasten from 1912. 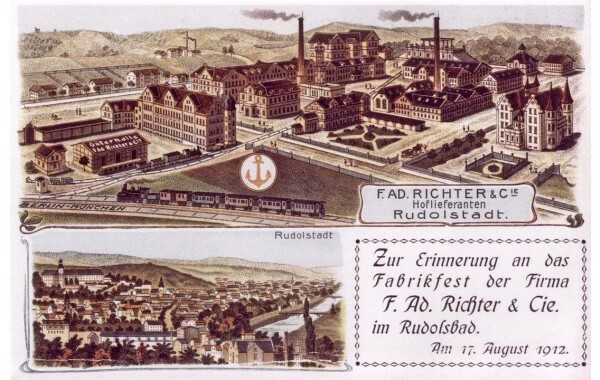 Includes a small inset image of the town of Rudolstadt, Germany.